Queens is a district of San Fierro, San Andreas. 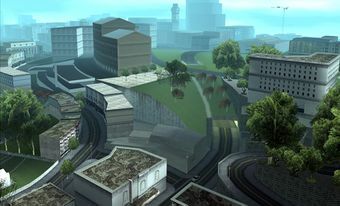 It is implied to house most of San Fierro's gay, lesbian, bisexual, and transgendered population. The neighborhood situated just east of City Hall. To the north lies Santa Flora, to the south is Hashbury, and to the east is King's. The name Queens is a tongue-in-cheek reference to its residential make-up, and to the fact that it is meant to emulate San Francisco's famous Castro District, predominated by gay men. The San Andreas Federal Mint. 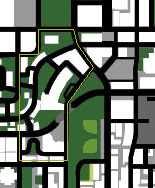 Katie Zhan hates the neighborhood due to her homophobia, so it's best not to drive around this place when dating her. The lightpoles in the district have gay flags on them, and at night, when the lights are on, most of them give off a pink glow. Vank Hoff in the Park. This page was last modified on 24 July 2012, at 00:54.